Sometimes the smallest things hold the biggest impact. 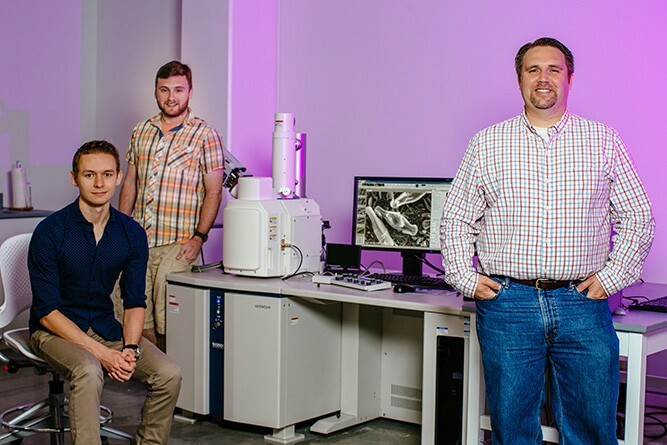 For Chris Dowdy and his classmates at Florida Polytechnic University, the key to unlocking new levels of sustainable energy can only be seen under a microscope. Chris’ research project focuses on a miniscule form of algae called diatoms. Diatoms come in literally thousands of forms and most are no wider than a human hair. By encasing them in titanium using nanotechnology, these diatoms can conduct and store electricity. Now, Chris and his team are exploring whether these modified diatoms can be used to replace the most expensive and inefficient part of a solar panel: the metal film. “A lot of resources are used to create that film. We’re confident there has to be a better way,” Chris says. The implications are huge. By using lab-grown diatoms, a renewable energy source like solar power could be collected using another renewable energy source. Cheaper solar power will open access to electricity in impoverished corners of the world. Chris credits his professor for inspiring him and his team to link their passion for technology to biology. 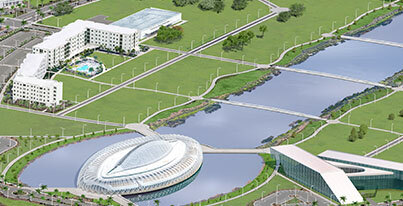 And, at Florida Poly, they have the facilities and resources to explore their ideas. “It’s inspiring to think about where we can go with this,” Chris says.